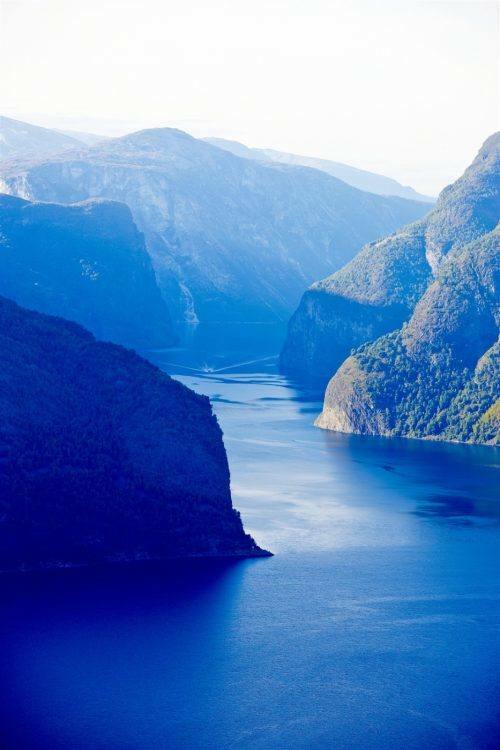 This dramatic, narrow fjord is one of the inner branches of the main Sognefjord, Norway’s longest fjord. This 18 kilometre long fjord is only 500 metres wide in some parts, with steep mountain sides and unbelievable, tiny farms clinging to the mountain sides. 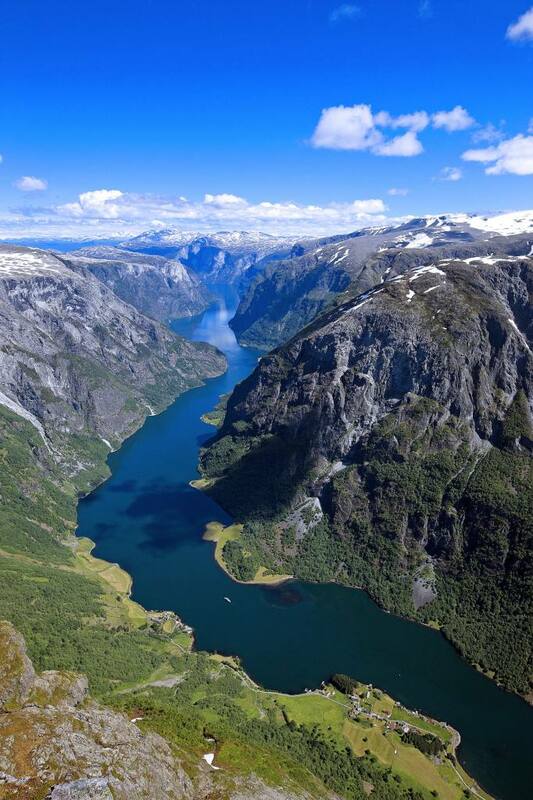 Since 2005, the Naeroyfjord has been listed as a UNESCO World Heritage Site. 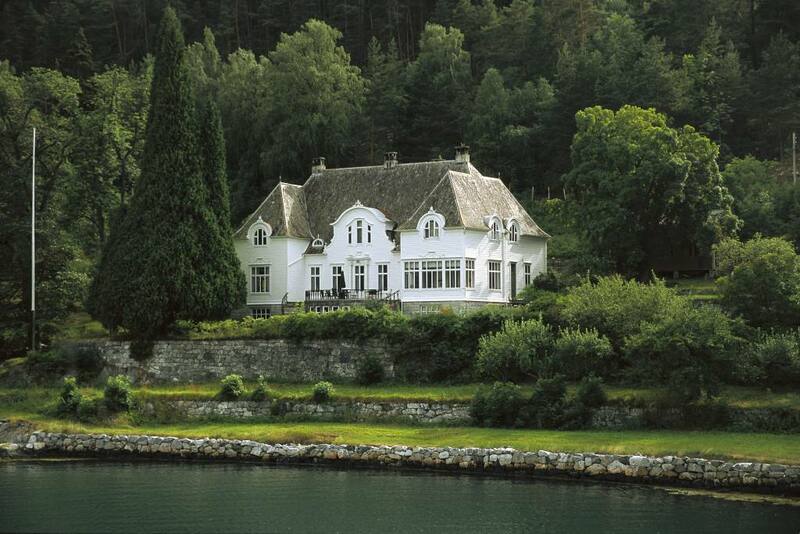 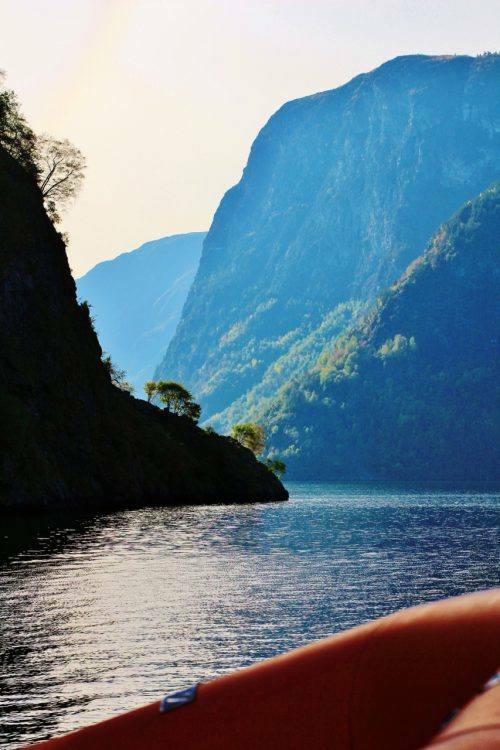 There are scheduled fjord cruises on this amazing fjord, with daily departures throughout the year, connecting with the public transportation system between the 2 largest cities in Norway; Oslo and Bergen.